Meet the team of professionals who create scientific solutions to address social issues across the globe using innovative technology and established management practices. Sridharan Sivan is the Founder of S10 Health, and has always been a highly motivated, successful entrepreneur throughout his life. He has set up and managed 5 extremely successful businesses in the past and is currently on to his 6th and clearly the most exciting venture till date. 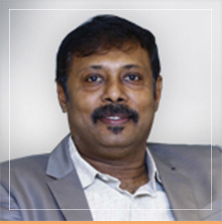 Prior to setting up S10 Health, Sridharan was the co-founder & Managing Director of Take Solutions Ltd. With his exceptional leadership skills, Take Solutions soon grew to becoming a global organization with operations in 8 countries, 1300 employees and an annual turnover of Rs 850 Crores. As a pioneer, Sridharan has numerous ‘firsts’ to his credit including setting up the country’s first and largest Search Engine & Chennai’s first retail outlet for Computers and a graphically modelled business process management framework to automate functions not covered by existing ERP packages. Driven by endless passion and focused on creating innovative business models, Sridharan Sivan continues enriching the society he is a part of. He is actively involved in industry bodies like CII, NASSCOM and ICTACT. He is the immediate past Chairman, Confederation of Indian Industry (CII), Chennai zone. Afser Shariff is the Co – Founder & Chief Medical Officer of S10 Health having assumed this role in 2013, 7 years after having founded and managed Physicians Angels Inc. as its CEO. At S10 Health, Dr. Shariff plays a key role in developing the company’s offerings in the healthcare solutions space, having been part of the medical profession in the United States for over a decade. He has been a Managing Partner at the Regency Park Ambulatory Surgery Center and ENT Physicians Inc. He is the Chairman of Surgery at Bay Park Hospital and has been the President of St. Charles Surgical Management Company. He was also Division Chief – Otolaryngology, St. Annes Hospital, Bay Park Hospital and Assistant Professor, U. Toledo. He was the Resident Representative to the Michigan State Otolaryngology Society in 2001-2002 and Executive Vice President of the University of Missouri Medical School Advisory Council 1995. Dr. Shariff is board certified by the American Board of Otolaryngology. He has been an active member of the American Academy of Otolaryngology – Head and Neck Surgery, American Academy of Otolaryngic Allergy, Health Information and Management Systems Society, Ohio State Medical Association and Academy of Medicine of Toledo & Lucas County. Dr. Shariff completed his degree in Medicine in University of Missouri-Kansas City School of Medicine (U.M.K.C.) with Combined B.A. in Biology/M.D. He did his residency at Henry Ford Hospital in Detroit, Michigan. He did over 2 years in Neurosurgery and then went on to specialize in Otolaryngology, Head and Neck Surgery. His notable achievements include receiving the Alpha Omega Alpha Medical Honor Society, American College of Physicians Award, Phi Kappa Phi Honor Society, Philippine Medical Association Scholarship and the Henry Ford Hospital Research Award. Dr. Shariff is also the Founding Member of the Institute for Social Policy and Understanding, a Washington D.C. based research institution. Prem Anand is the Executive Director – Solutions Engineering at S10 Health. He has over a decade of experience in IT and outsourcing, specializing in U.S. healthcare. Following his passion on blending healthcare and technology, he developed the S10 Health suite of solutions and is the Chief Solutions Architect of S10 Health Office. His profile includes managerial and sales experience with Oracle in the Middle East, SAP in Romania, and with various India-based IT firms. His experience provides him with a deep understanding of large-scale business processes and services. Prem served as Director of Worldwide Sales and Customer Delivery at BreakThrough Technologies, which he co-founded and grew to a 500+ employee corporation with multimillion dollars in annual sales. As Director – Client services of Physicians Angels his core areas of focus are in the development of client-based software solutions for more effective practice management, improving client experience, and ensuring continued innovation. Zakir is the Executive Director – Solutions Delivery of S10 Health and is responsible for complete operations of the organisation. He has nearly 2 decades of business experience which includes ten years of managing out-sourced healthcare services. He worked closely with KPMG in developing a unique solution implementation methodology, S10 GROW. Before co-founding Physicians Angels, Zakir was the Head of Operations at BreakThrough Technologies — a healthcare business process outsourcing (BPO) company. In this role he was instrumental in driving operational excellence and in building a team of 500+ employees. He is also the Director of Operations at Physicians Angels, and is responsible for the development, design, and improvement of Physicians service lines. In addition to establishing delivery and quality control standards, Zakir oversees staffing, hiring, and training. Dhamu Narayanan is the Executive Director – India Operations at S10 Health. He is responsible for providing S10 Healthcare solutions to clinics and is adept at managing large, geographically dispersed teams. He understands the entire healthcare & IT complexities that can help & impede physicians from performing their clinical tasks efficiently. Dhamu started his career in 1986 and worked in companies across India, Singapore, US and Europe. 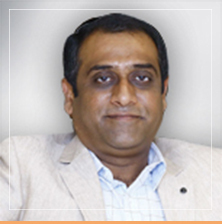 Prior to joining S10, Dhamu was the Senior Vice President, Healthcare Business unit at NIIT Technologies Ltd. Prior to that joined TAKE SOLUTIONS LIMITED, Chennai – a global technology solutions and service provider, with significant focus in Healthcare, BFSI and Supply Chain Management catering to clients across 8 countries as Chief Operating Officer. In 2004 he joined Chennai based iSOFT R&D Pvt. Ltd. (IBA Health Group Company) – one of the world’s largest providers of software applications for the healthcare sector where he piloted the Lorenzo clinical management module with Changi General Hospital, Singapore for connecting all areas of the healthcare system with greater efficiency and cost savings. Dhamu completed his Engineering from Anna University in 1985 and underwent a program on “Global Leadership” from Harvard Business School. 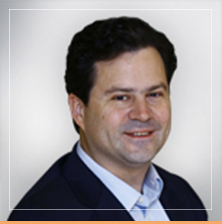 Kevin Brady is the President of U.S. Operations at S10 Health since 2013, and is the President of Physicians Angels, Inc., where is his lasting commitment to improve global healthcare has led him to develop and manage our innovative Virtual Medical Scribe staffing solutions. Kevin manages the day-to-day operations of Physicians Angels, the company's investor and customer relations, and ensures that Physicians Angels' Virtual Scribes continue to deliver high-quality services to physicians worldwide through our unique and intensive training courses. Before joining Physicians Angels, Kevin specialized in international diplomacy, economics, and project management in Europe, the Middle East, and South Asia. As a pioneer, Sridharan has numerous 'firsts' to his credit including setting up the country's first and largest Search Engine & Chennai's first retail outlet for Computers and a graphically modelled business process management framework to automate functions not covered by existing ERP packages. Afser Shariff is the Co - Founder & Chief Medical Officer of S10 Health having assumed this role in 2013, 7 years after having founded and managed Physicians Angels Inc. as its CEO. At S10 Health, Dr. Shariff plays a key role in developing the company's offerings in the healthcare solutions space, having been part of the medical profession in the United States for over a decade. He has been a Managing Partner at the Regency Park Ambulatory Surgery Center and ENT Physicians Inc. He is the Chairman of Surgery at Bay Park Hospital and has been the President of St. Charles Surgical Management Company. He was also Division Chief - Otolaryngology, St. Annes Hospital, Bay Park Hospital and Assistant Professor, U. Toledo. He was the Resident Representative to the Michigan State Otolaryngology Society in 2001-2002 and Executive Vice President of the University of Missouri Medical School Advisory Council 1995. Dr. Shariff is board certified by the American Board of Otolaryngology. He has been an active member of the American Academy of Otolaryngology - Head and Neck Surgery, American Academy of Otolaryngic Allergy, Health Information and Management Systems Society, Ohio State Medical Association and Academy of Medicine of Toledo & Lucas County. Prem Anand is the Executive Director - Solutions Engineering at S10 Health. He has over a decade of experience in IT and outsourcing, specializing in U.S. healthcare. Following his passion on blending healthcare and technology, he developed the S10 Health suite of solutions and is the Chief Solutions Architect of S10 Health Office. 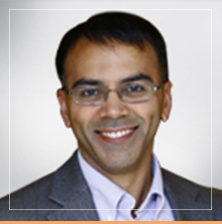 Prem served as Director of Worldwide Sales and Customer Delivery at BreakThrough Technologies, which he co-founded and grew to a 500+ employee corporation with multimillion dollars in annual sales. As Director - Client services of Physicians Angels his core areas of focus are in the development of client-based software solutions for more effective practice management, improving client experience, and ensuring continued innovation. Zakir is the Executive Director - Solutions Delivery of S10 Health and is responsible for complete operations of the organisation. He has nearly 2 decades of business experience which includes ten years of managing out-sourced healthcare services. He worked closely with KPMG in developing a unique solution implementation methodology, S10 GROW. Before co-founding Physicians Angels, Zakir was the Head of Operations at BreakThrough Technologies - a healthcare business process outsourcing (BPO) company. In this role he was instrumental in driving operational excellence and in building a team of 500+ employees. 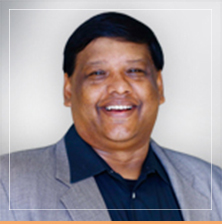 Dhamu Narayanan is the Executive Director - India Operations at S10 Health. He is responsible for providing S10 Healthcare solutions to clinics and is adept at managing large, geographically dispersed teams. He understands the entire healthcare & IT complexities that can help & impede physicians from performing their clinical tasks efficiently. Dhamu started his career in 1986 and worked in companies across India, Singapore, US and Europe. 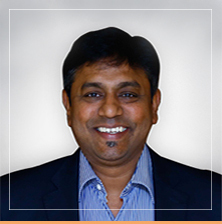 Prior to joining S10, Dhamu was the Senior Vice President, Healthcare Business unit at NIIT Technologies Ltd. Prior to that joined TAKE SOLUTIONS LIMITED, Chennai - a global technology solutions and service provider, with significant focus in Healthcare, BFSI and Supply Chain Management catering to clients across 8 countries as Chief Operating Officer. In 2004 he joined Chennai based iSOFT R&D Pvt. Ltd. (IBA Health Group Company) - one of the world's largest providers of software applications for the healthcare sector where he piloted the Lorenzo clinical management module with Changi General Hospital, Singapore for connecting all areas of the healthcare system with greater efficiency and cost savings. Dhamu completed his Engineering from Anna University in 1985 and underwent a program on "Global Leadership" from Harvard Business School.